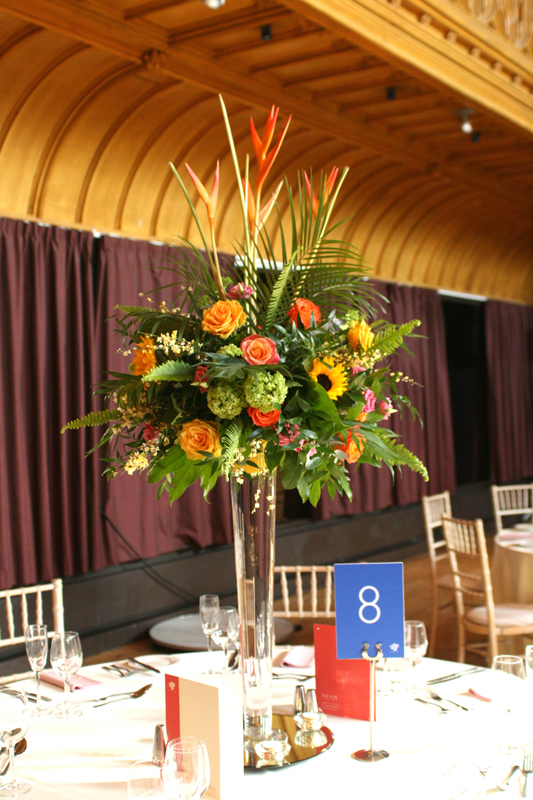 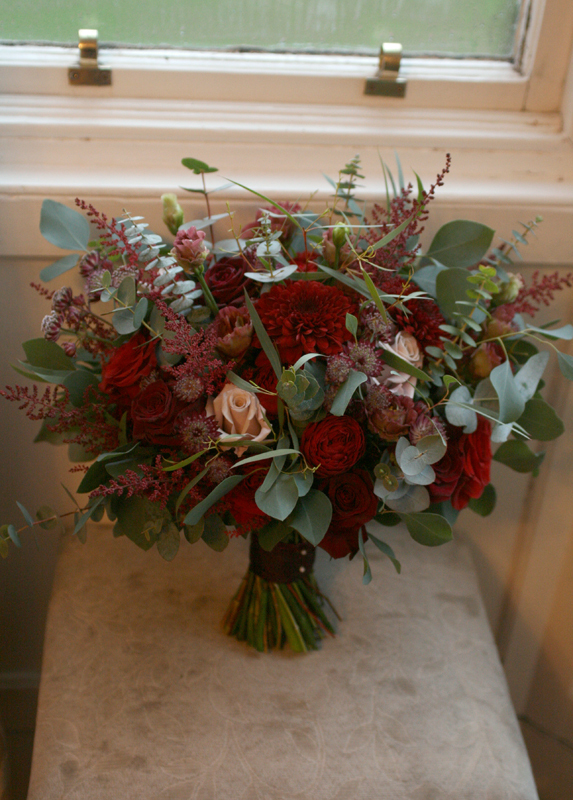 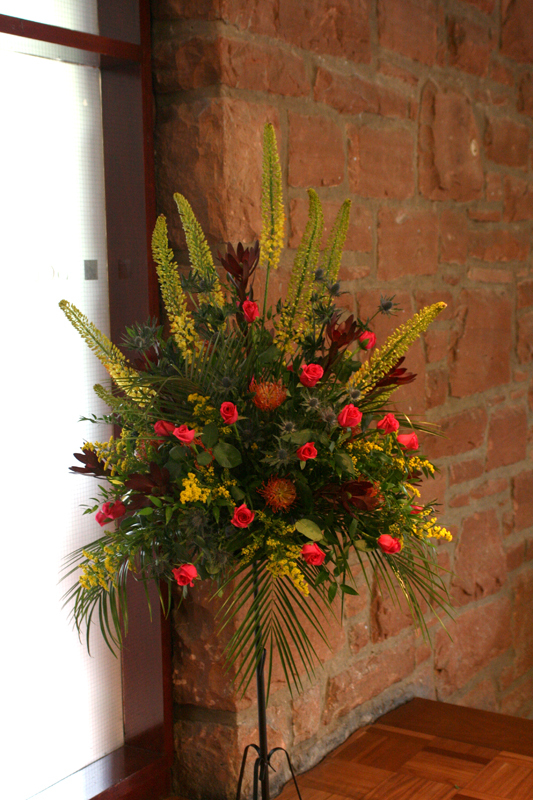 We love the challenge of finding ways to incorporate clients personal elements into the overall design of their flowers, so we really enjoyed creating these traditional style arrangements for a special Scottish and South African wedding celebration that took place last month at the South Hall Complex, Pollock Halls, Edinburgh. 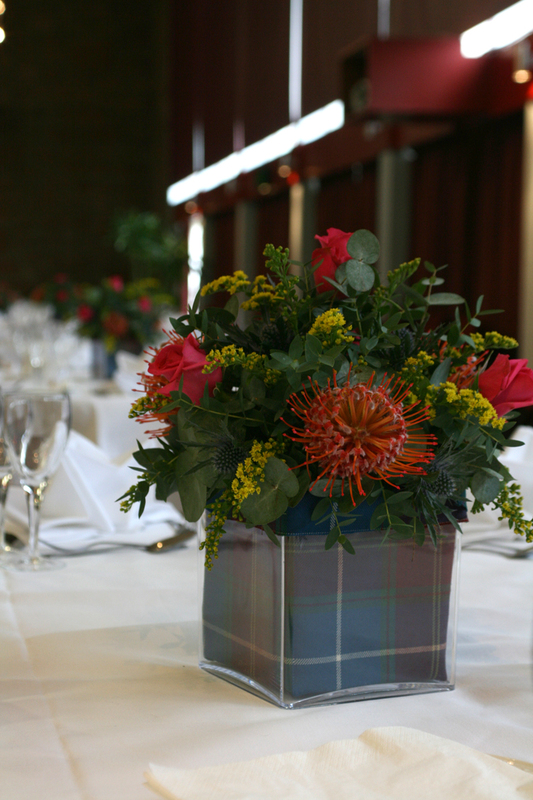 Our couple wanted to include protea (the national flower of South Africa) and also their tartan. 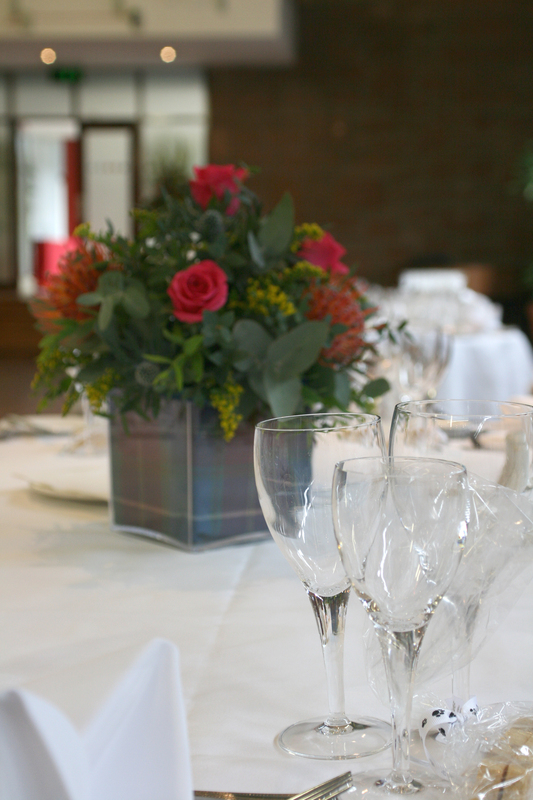 We lined clear vases with tartan and included roses, protea, thistles, solidago and 2 types of eucalyptus which helped to tie the whole colour scheme together.